Annual trout and fishing season, as always, is a major draw for freshwater lakes dotting the Sierra Nevadas. BISHOP — Two of California’s least-populated counties will be bustling with anglers during the final weekend of April as the 2017 fishing season kicks off in the Eastern Sierras. 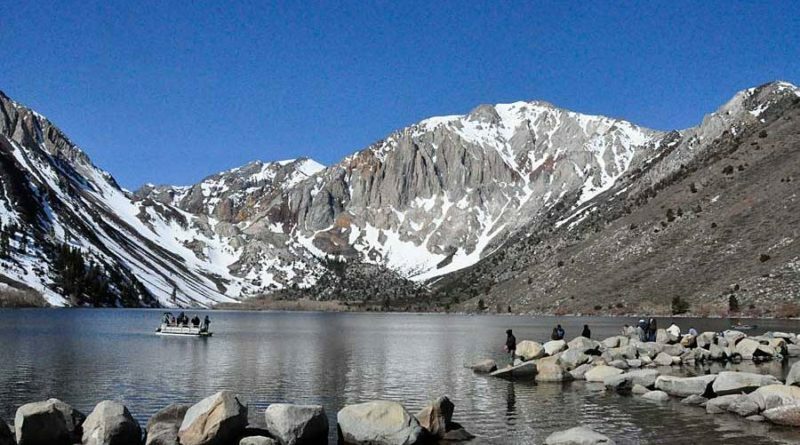 Anglers from Southern California and other corners of the state will descend upon Bishop, Bridgeport, Independence, June Lake, Lone Pine and the rest of Inyo and Mono counties to celebrate the start of this year’s trout season. 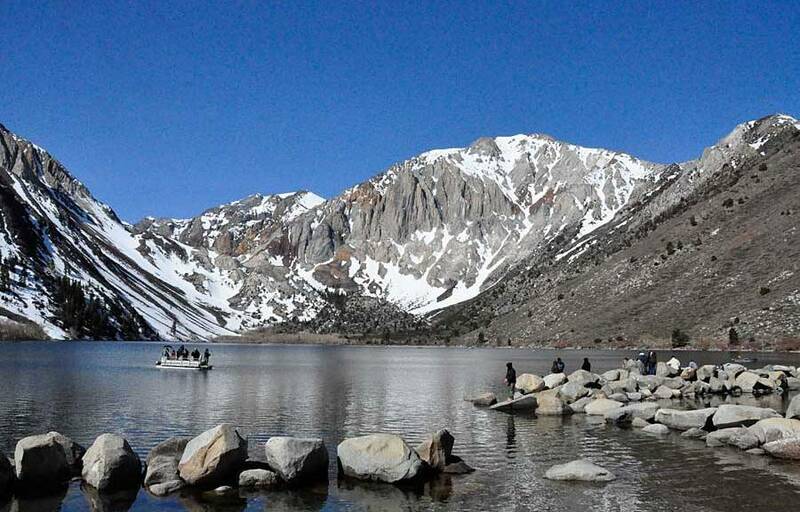 The Eastern Sierra opener kicks off April 29, the final Saturday of the month and official start of the fishing season. This year’s Eastern Sierra fishing season is expected to continue through Nov. 15. Local fishing regulations might vary from lake to lake. Be sure to check for waters with special restrictions. Regulations are available online at wildlife.ca.gov/Regulations; anglers can also call 760-872-1171 for more information. Several lakes are already promoting the 2017 opener. A blog post on junelakeaccommodations.com called the annual trout opener “one of the most anticipated dates” of the year. Convict Lake is offering $1,300 in cash prizes, awarded to anglers who catch any one of 23 tagged fish, during opening day weekend. Lake officials announced the angler who catches the largest fish will have his or her name etched onto a Fred Hall Show Trophy. The Convict Lake derby begins at sunrise April 30 and continues until 3 p.m. on May 1. Prizes will be distributed at the Convict Lake General Store right after the derby ends. The recent rains and snows, according to officials, won’t slow down this year’s opener at Crowley Lake. Crowley Lake staff is hopeful the weather will warm up in time to melt the snow and ice away. “The lake still has a pretty thick ice layer but we are starting to see it crack,” Crowley Lake staff said.” Once the cracks form, wind and warmth will start breaking it up. It’s ok to keep your fingers crossed though. We have some work ahead of us! “Of course with weather comes uncertainty and lots of variables so we will do our best to keep you updated,” Crowley Lake staff continued. Last year’s fishing opener met with mixed fishing and weather conditions. Sierradrifters.com, a website keeping anglers up-to-date of fishing conditions in the Sierras, identified action as good at some lakes but fair to slow at others. Crowley Lake, Upper Owens River and McGee Creek were the top performing lakes at the outset, while Bridgeport Reservoir was kicked off with fair to good conditions. Road conditions in Inyo and Mono counties are available online. The website monolake.org lists several roads as closed, including Tioga Road (Highway 120) and June Lake Loop (Highway 158). Please visit monolake.org/today/roads for up-to-date information. Also visit inyocounty.us and the sierraweb.com for road condition information in Inyo County. Fishing licenses are required for anglers aged 16 and older. Annual, one-day or two-day fishing licenses are available for purchase through the Department of Fish and Wildlife or by calling 760-934-2664. Several locations in the Mammoth Lakes area, for example, are also expected to have fishing licenses available for purchase. An annual resident sport fishing license is $47.01, while one-day licenses (for residents or non-residents) is $15.12. A two-day license (valid only on consecutive days) for residents and non-residents is $23.50. Non-resident annual licenses are $126.36.